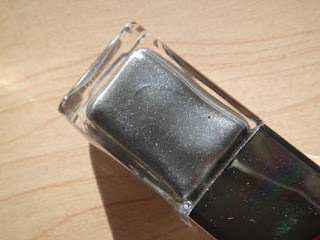 Today’s Color of the Week is about Dior’s Nail Color 604 Silver Pearl. This is one of the two Limited Edition nail polishes from 2010 Dior Spring Makeup Collection. The color is a cool toned smokey grey silver. It’s very pigmented with great coverage. Even with one coat it should be all right. 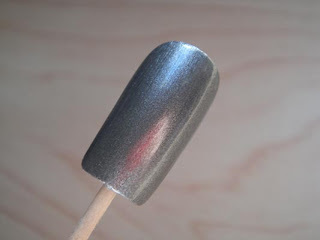 The finish is metallic with multi-color glitters that shines under the sunlight. I think it’s really pretty! Compared to the Silver Purple, it’s not as glossy and shiny but rather having a gun metal sheen. The color changes under flash light and direct sunlight. How do you like this? Will you wear it on your hands or toes? 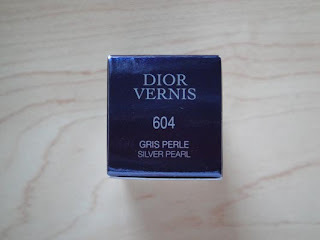 I've seen this at the Dior counter recently, but decided not to get it, since it's too silvery, which doesn't flatter me so much. Yet, it reminds me of 'Silver Purple', which I love! 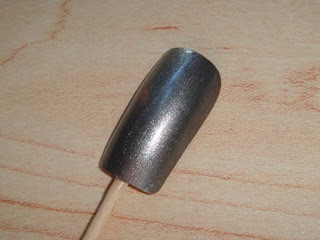 this is nice silver greyish tone… very nice " metallic feel"